When we moved into our house, the previous owners had set up a very sturdy pine tyre-swing for their offspring. The tyre has long since disintegrated, but the sturdy pine structure is still there and for years I’ve been meaning to “do something” with it. In February I decided the time was right (it takes a while to sort through these things…..as I’m sure you know). I enjoy sweet peas so much – their colour, their perfume, their happy faces – and my only other attempt was in a pot and short lived. 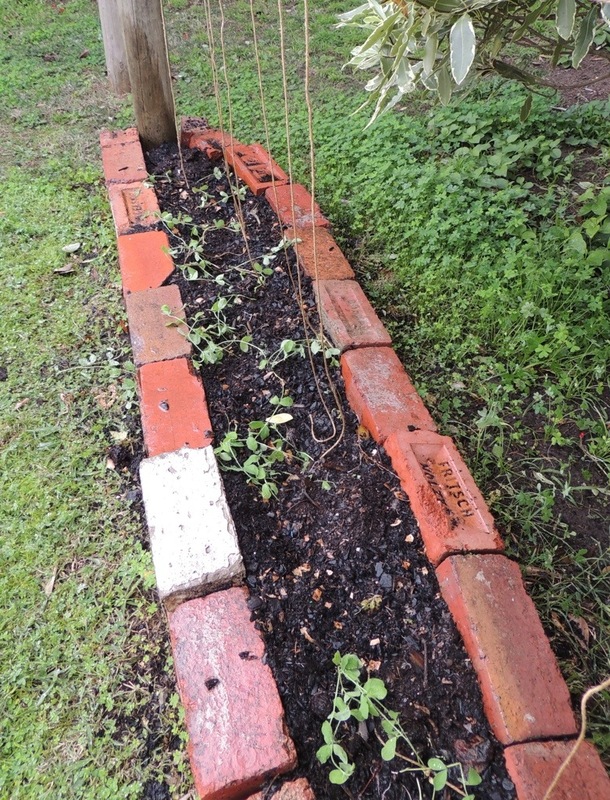 This time I, yes me, myself and I, built a little garden between the pine posts from some old bricks that were languishing behind the shed (no doubt they were only too glad to be repurposed), filled it with compost and potting mix and planted out the sweet pea seeds. I was so looking forward to showing you the budding seedlings. A little while later I was delighted to see plants springing forth……..except they didn’t look like what I remembered sweet pea plants to look like and, hmmmmm…….they weren’t growing in the spots I’d planted the seeds. 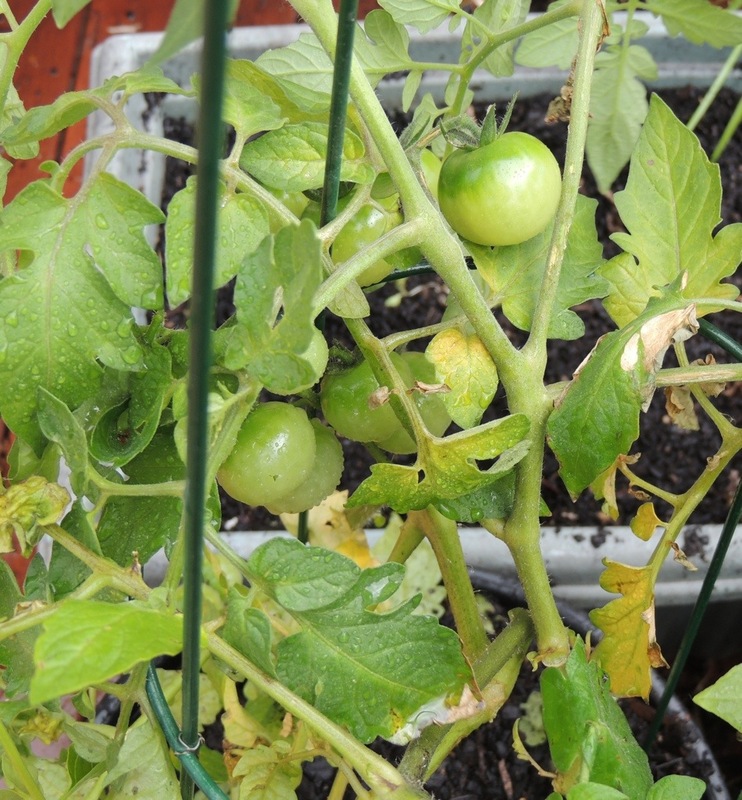 Yes indeed, the compost and potting mix had ripened and germinated flourishing tomato and pumpkin plants! Oh, dear…..the best laid plans, huh? complete with strings for them to grow up. And would you believe? 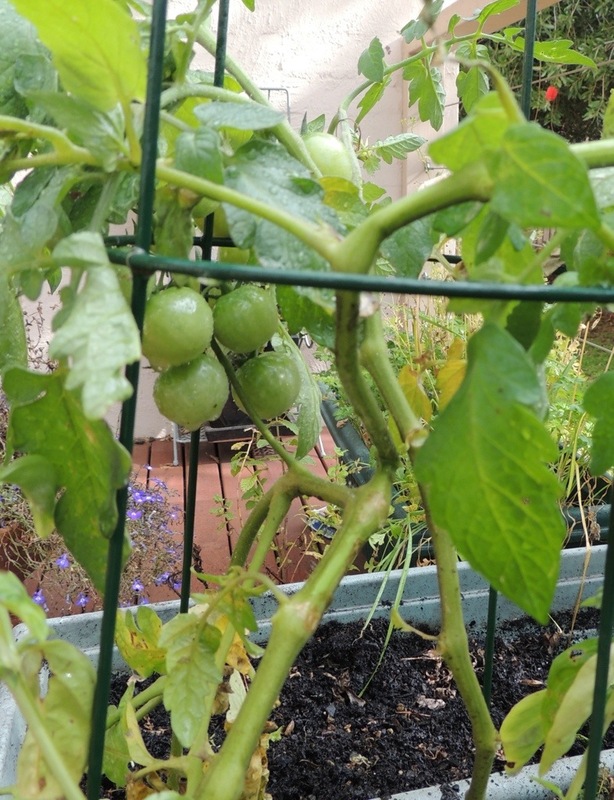 A couple of the tomato plants actually have baby, green toms. Those with fruit have been repotted…….we shall see what transpires……. There’s more on these rogue plants than the shop bought ones from earlier in the year! I shall keep you posted on the progress of the toms…….and on the sweet pea saga too; hoping for a fabulous display come Spring/Summer. This entry was posted in Uncategorized and tagged garden, sweet peas. Bookmark the permalink. I’m still laughing at your sorry tale!! And you have bonus tomatoes to enjoy. I love the scent of sweet peas – last summer I got to pick some from our neighbours’ garden when they were on holiday, in return for Malcolm watering their garden – good deal – he did the work, I got the reward!! Well, I suppose it makes sense that the “volunteer” plants would be ahead of the regular ones, but oh, deary, deary me – what a chapter of accidents! Laughter is always welcome…..especially on a somewhat chilly Monday morning!!! Oh, by all means, keep us posted on the progress of those sturdy ‘intruders’ and the ‘invited ones’!!!!!!! OMG! That is too funny! My stories usually involve my flowers being eaten or stolen by little creatures. 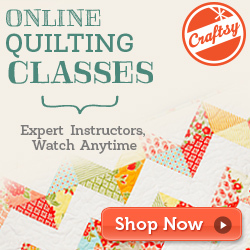 Your plant stories are as entertaining as your beautiful quilting ones. Thank you! Good for you, Meredith, you didn’t give up on your sweet pea mission. I also love that flower, reminds me of my grandmother, no better scent. We have good luck with them in our new location, we have very cool nights. Planted my seeds in March and seedlings are now 3″ tall, and I have visions of many little bouquets, hopefully by June. We live at 5000′ elevation and last year I picked the sweet little flowers all summer. Good luck with your project. Dear Meredithe, well you have been busy. I love the structure you built for the Sweet Peas, very good solution indeed. Tomatoes look great too. Good luck with your new seedlings. I love sweet peas, hopefully I will do something other than weed this summer! Already have Peas, Carrots and salad growing. Our old Rhubarb plant has been well used this season. Hubby baked a lovely cake Yesterday with it. Enjoy your vegetable/ garden adventures!! 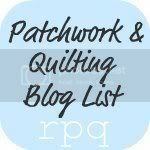 Great story Meredithe – that is gardening for you! 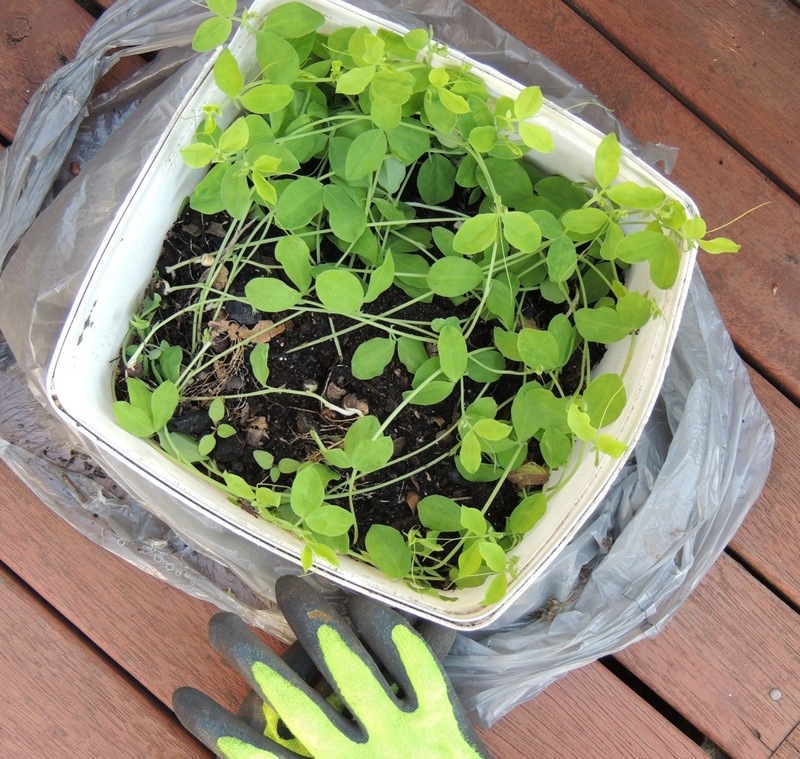 I have a lot of sweet pea seedlings that self seeded in a pot after last year’s plantings. At least I think they are sweet peas haha!